Rwanda Girls Initiative - Valentines Day! Flowers will wilt, Chocolate will melt, Give a Gift of Education to last a Lifetime! Give a gift of education and we will send an e-card to your loved one. Our goal is to ensure that no girl will be unable to attend GGAST due to her family's economic status. Educating a girl is one of the most powerful instruments for reducing a nations poverty, improving health outcomes, promoting global development, and supporting equality for women. Partnering with our students will not only transform them as individuals, but it will impact their entire communities. 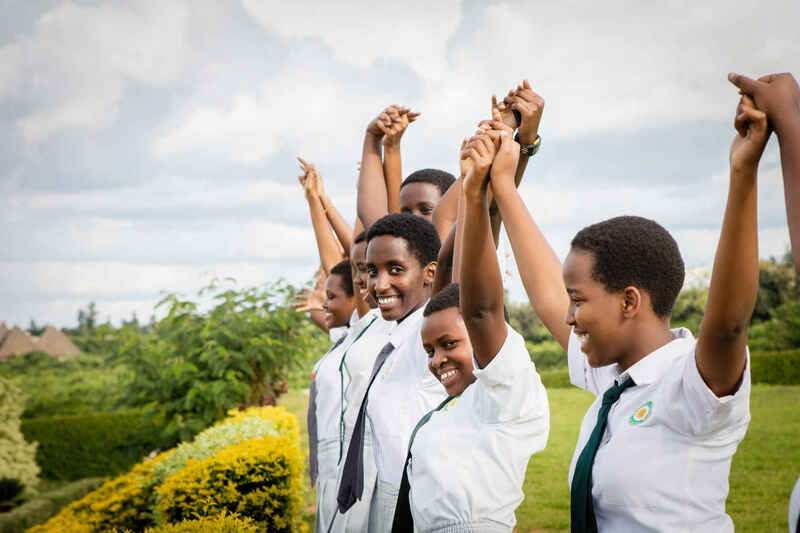 The intentionally wide socio-economic demographic in our student population, underscores our goal to contribute to long-term peace and reconciliation in Rwanda, and therefore compels us to have a tremendously robust financial aid program. Our full school fees do not cover the full cost of a students' education, therefore 100% of our families receive aide. When you give to our students, you are supporting Rwanda's future leaders, doctors, scientists, and entrepreneurs!